THE B-MOVIE NEWS VAULT: Check Out These Awesome New Horror Toys from Mezco + Footage from 2018's Toy Fair! 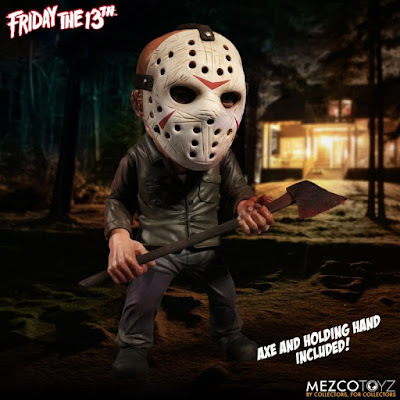 Check Out These Awesome New Horror Toys from Mezco + Footage from 2018's Toy Fair! We've recently started getting e-mails from Mezco Toyz here at The News Vault, and man is it making us want to spend our expendable income! 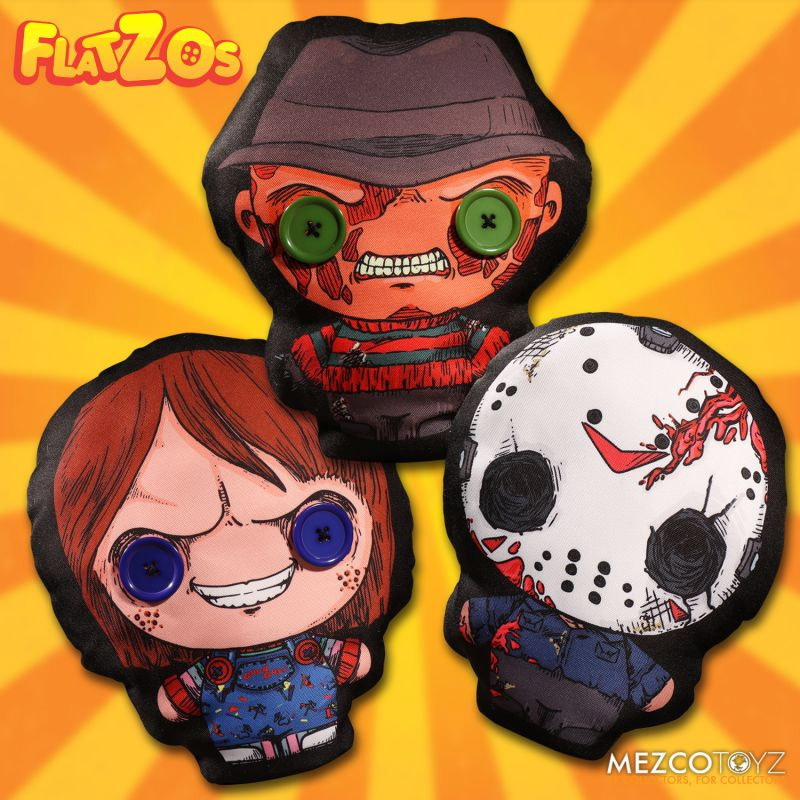 For our first ever bit of toy news, we've selected several upcoming releases from Mezco's 2018 roster, including a new addition to their Living Dead Dolls line, as well as the trio of cute horror dolls that will kick off their "Flatzos" series! But enough talk, let's take a look at these new toys that you just gotta have! Description: Mezco is giving horror’s most-feared masked maniac the stylized treatment with a deluxe figure sure to thrill! In addition to having 10 points of articulation, Jason Voorhees comes ready to slay with his signature bloody axe and machete, which have been the end of countless unhappy campers. Jason’s trademark hockey mask is removable to reveal a disfigured and scarred face sculpt based on FRIDAY THE 13TH PART 3D. Also included is an alternate left hand to help recreate iconic poses. Standing approximately 6 inches tall, this figure comes packaged in a die-cut window box perfect for display in your collection! 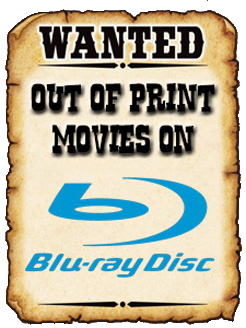 Expected to Ship Between June - August 2018. Chucky - The possessed doll with the soul of a serial killer and a bad attitude! Freddy - The dream-haunting Elm Street slasher that caused an entire generation to lose sleep! Jason - The machete loving, hockey mask-wearing killing machine from Camp Crystal Lake! 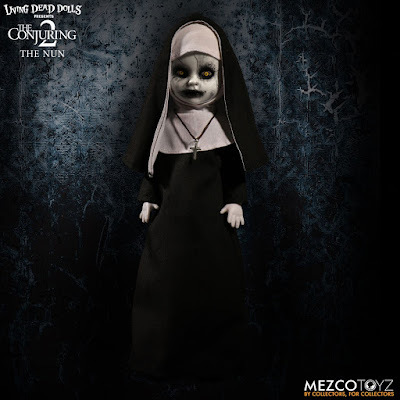 Description: The cinematic universe of THE CONJURING has earned over $1 billion dollars at the box office, and introduced theatergoers to the horrific rogues gallery of supernatural villains who tormented paranormal investigators Ed and Lorraine Warren. 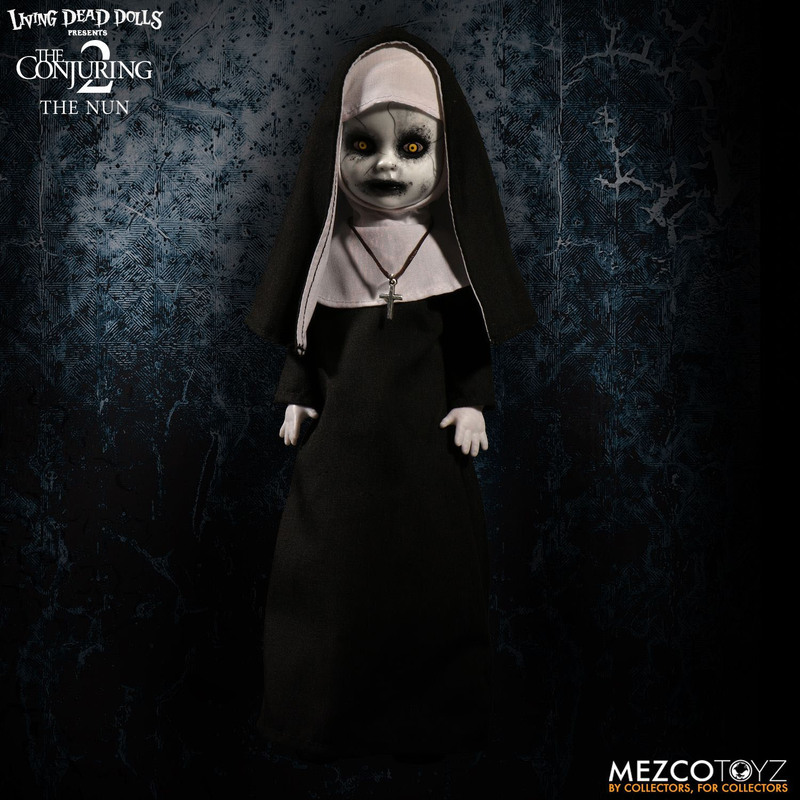 The Nun was introduced in THE CONJURING 2 and quickly became a terrifying fan favorite, earning herself a post credit sequence in ANNABELLE: CREATION. This summer, The Nun stars in her own self-titled film exploring the unholy origin and dark secrets in her past. Thanks for taking a glance Vault Dwellers! If you liked this post, and would like to see more news about upcoming toys and collectibles, please let us know in the comments below!